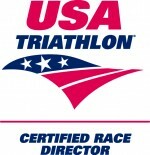 Mitch Varnes is the event director of the Rocketman Florida Triathlon and is USAT Certified Race Director. Mitch is the founder of the Melbourne Music Marathon Weekend, the Cocoa Beach Triathlon, the Beach Running World Championships and several other multi-sport events. 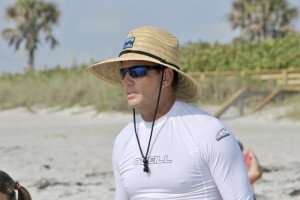 He was event director of the richest continuous running pro surfing event on the East Coast, the Sebastian Inlet Pro. Mitch is a longtime runner and triathlete and has competed in the Nation’s Triathlon, the NYC Triathlon, the Chicago Triathlon and the South Beach Triathlon. He has twice run the Boston Marathon. The Rocketman Florida Triathlon is a very special event for Mitch as he worked for NASA for 10 years and is one of just a handful of people to have been the “Voice of NASA” for the countdown and launch of the Space Shuttle. Shortly after the Space Shuttle Challenger accident of 1986, Mitch created and produced the first ever fundraiser for the Astronauts Memorial Foundation. Born in 1966, and from the age of 2, I was fortunate enough to be brought up to learn, love and respect the ocean. In high school, I started working as an Ocean Lifeguard in 1983. I developed a strong passion for competing, saving lives, and protecting the public. I continued with Ocean Rescue while attending Florida State University, where I graduated with a Bachelor of Science in Marketing. After college I left the ocean, and went to work for The Nabisco/Kraft Foods Company as a Sales Rep. for 10 years. In 1999, I left Corporate America, and came back to the ocean to pursue a large public need and passion of mine to coach, mentor, and guide our youth around the water here in Brevard County. In 2000, I started JDSAquatics “Learn to swim programs”, private lifeguard services and swim team. The swim team, swim school and lifeguard services went beyond all expectations. In 2006, I was hired to be the head varsity swimming coach at Melbourne Central Catholic High School, where I still coach today. Now, in 2012, JDSAquatics has continued to grow. We continue to provide better Lifeguard services for the public. We have a winning USA Club Swim Team. We have one of the best private swim instruction schools in Brevard. We have a championship caliber Junior Lifeguard Team, as well as incredibly awesome and fun Surfing Camps and a Surfing Club Team. One of JDSAquatics greatest accomplishments though, has been to have the honor of coaching our Brevard County Special Olympics Swim Team, whom made it to the State Championships in 2011. We also have welcomed the Boy Scouts requests for Merit Badge testing. A USAT certified course director, Linda has been a long time Brevard County resident. She is a certified USAT Level 1 Coach and has helped many athletes achieve their goals from Sprint to Half Ironman distance events. 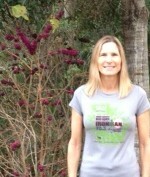 Linda is also a certified USATF Level 1 and RRCA Running Coach. Having completed several marathons, Half Ironman distances and just recently an Ultra Marathon event. She continues to volunteer and support the local triathlon and running community. Also a USAT certified course director, Coach Suzie Enlow grew up in Brevard County‘s Space Coast riding bikes and running along Indian River. After competing and winning overall Female at her first triathlon in 2007, Suzie was hooked. The married mother of two is a certified USA Triathlon coach and continues to enjoy being a competitive triathlete. Also a Boston and New York City Marathon qualifier, Suzie has been coaching adult and youth triathletes since 2009. Suzie strives to teach athletes that it’s not always about winning, but in developing the skills to organize their lives so they can achieve their dreams and goals. Marty Winkel, owner and operator of Space Coast Event Management & Timing, has over 25 years of race management experience. He is the race director of the Space Walk of Fame 8K and 2 Miler, Chain of Lakes 5K, Beat the Boss 5K, Parrish to YMCA 3 Miler, Beat the Leaders and the YMCA Family Challenge Triathlon annually. He has directed nearly 100 races and provided timing services to hundreds more. He has managed events from 2 miles to a 24-hour ultra marathons. He has also mentored numerous first time race directors to successful events. 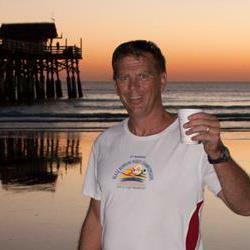 Marty is a current officer on the Space Coast Runners board of directors for 28 years and is a past president (7 years). He is also the founder and coordinator of the Titusville Racing Series, offering cash awards each year. He has been active in the running community since the 1970s. He also a member of the 50 State and DC Marathon Club having run a marathon in all 50 states and DC. He is currently on his second round of 50 marathons in 50 states. Marty had a running streak of over 21 years when he had a stress fracture at the Las Vegas Marathon. He also carried the Olympic Torch on 1996 at Kennedy Space Center and lit the cauldron at the Visitor’s Information Center. In 2004 Marty was elected to the Space Coast Runners Hall of fame. Nancy Wood Rowan is an accomplished Program Director, fitness instructor, and RRCA certified running coach. She combines a 20+ year track record of award-winning service to the space program with a personal passion for wellness, physical fitness, and civic-minded leadership. She is a respected mentor and coach, having managed a team of 35 engineers. She has been recognized for strategic planning and creative program design. 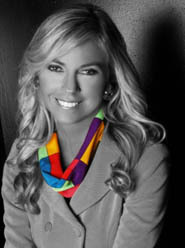 She has led and worked with large events that resulted in record-breaking satisfaction levels and promoted positive public relations. Nancy is a compulsive racer participating in an average of 45 races annually. She is a three time Space Coast Runner of the year series winner and two time Daytona Grand Prix Series winner. 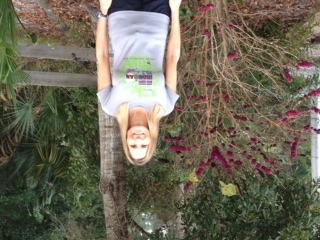 She has served on the Space Coast Runners Club board and on the Space Coast Marathon Committee. She is the former President of the United Space Alliance Corporate Running Club. Nancy recently formed, Runningal Event Management, a company that manages 5K and 10K road races in the Volusia County area.